Opening a new office is an exciting time, whether it’s a remodel, renovation, or an office move, it is always exciting to be “out with the old and in with the new”. An often-overlooked part of this transformation is deciding what to do with all the office furniture you are replacing. It can be a large project, and you may not have considered or considered too late in the process. There are a lot of moving pieces no matter what you decide to do. Adams Office Furniture can be the solution for disposing of your old office furniture, and hopefully help make your office transformation even smoother. Our company has been in business for 32 yrs. and our mission has been constant. 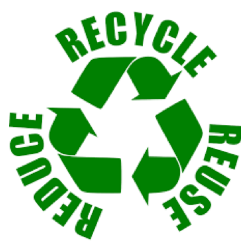 Our goal has always been to offer the educated buyer significant savings by purchasing refurbished, refinished, and restored commercial “A” grade furniture and to do our part to help the environment keeping sometimes like new furniture out of the landfill. Unfortunately, as expensive as it can be when buying, a full floor of office furniture can become a huge liability at the end of a lease, a lateral move to a new office, or closing a business. Unlike many items-used cars, boats, etc., used office furniture is not generally a “quick sell”, because there are usually a substantial number of pieces involved and impossible to sell quickly to end users. Even when companies try to help out employees by having a sale, or by letting a few buyers “cherry pick” what they want, the companies still get left with most of the less desirable furniture and it becomes even more of a financial burden to dispose of the rest. We solve your disposal problem and give you an environmentally friendly alternative by removing EVERYTHING – GOOD AND BAD- and leave you with a broom clean suite! !